News broke today in Autocar that Porsche quietly stopped producing diesel cars, making the Macan S Diesel and Panamera 4S Diesel the last diesel models produced by the German manufacturer (it seems they stopped producing the Cayenne Diesel a while back). While this news is hardly surprising, given the backlash Porsche and the wider group has received in the wake of the Dieselgate scandal, it is still has interesting implications for where the industry is heading. What made Porsche pull the plug on the diesel engine? The answer here seems pretty clear – cold, hard calculations as to whether selling diesel cars makes business sense for Porsche. First of all, consider the breakdown of the new Panamera’s sales in 2017, as revealed in the Autocar article: 35% were petrol, 50% were hybrids and only 15% were diesel engines. This means that wealthy customers no longer want to buy diesel engines, partly due to the associated stigma, and partly because of the seemingly huge appeal of the Panamera 4 E-Hybrid model (which in of itself is really fascinating). Second, new diesel engines would have to be developed and manufactured to meet stringent new emission standards, which would doubtless cost Porsche (and VAG) a ton of money, slashing per-unit profit margins. And finally there is the gain to Porsche’s reputation as being the first of the carmakers to rid itself of the “dirty diesel”. It is clear that the huge popularity of the Panamera 4 E-Hybrid made the decision to drop the diesel much easier for the brand, and it also points to Porsche’s future plans. 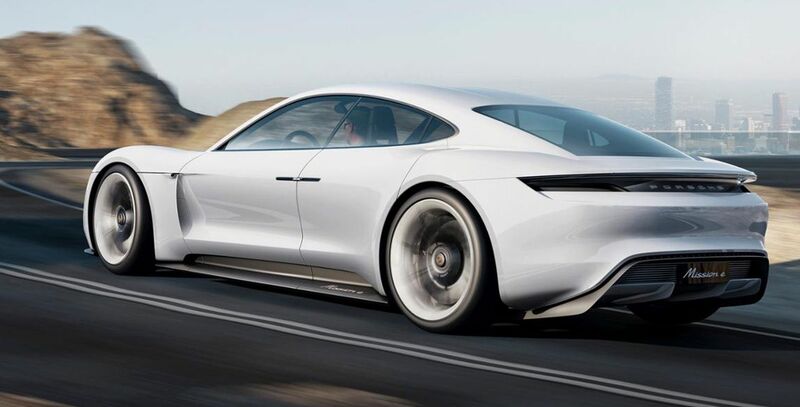 It seems that, despite the carmaker’s origin as a purveyor of sports cars powered by internal combustion engines, the company will increasingly focus on offering Hybrid and Electric models, with the next step coming in the form of a Hybrid version of the iconic 911 sports car, and a production version of the gorgeous Mission E concept. Is Porsche right to stop offering diesel-engined cars? I think it’s a good decision. Good for Jaguar-Land Rover, for BMW, maybe even for Alfa. The Diesel Porsche cars fulfilled their mission, selling many cars when diesel was a sensible option for almost everyone and still was not politically incorrect. Now with alternatives such as hybrids and the bad image with which these engines are seen, I think Porsche must to take another way. Every technology and solution have their time. Inspired by Toyota and a logical result of the VAG emissions scandal.